Last week at SHOT Show I had the opportunity to me Dottie Nobles of Shady Lady Shooting. The pink camo gun bags caught my eye. 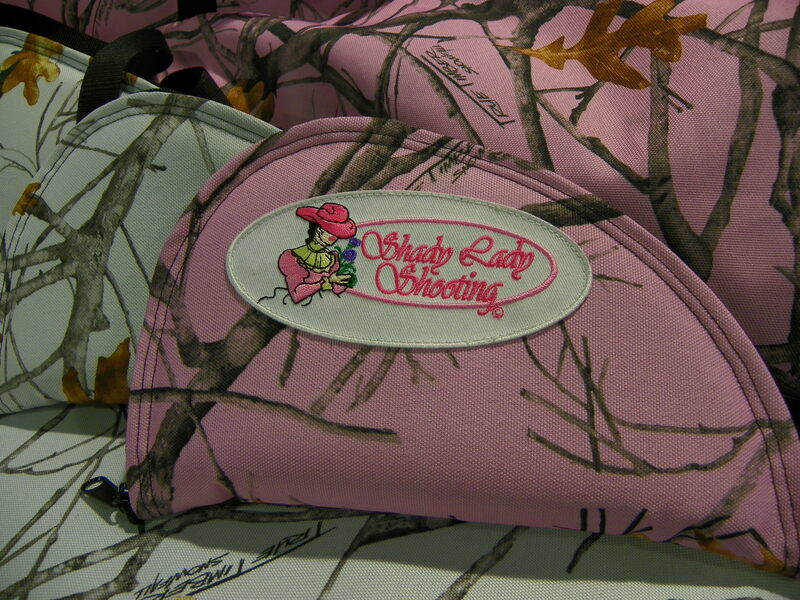 In a world of Mossy Oak Break-Up, it was so refreshing to see gun bags tailored for women in a light pink color. Dottie was incredibly nice and took time to tell me all about her merchandise. She began her business when her daughter could not find a gun case she liked. 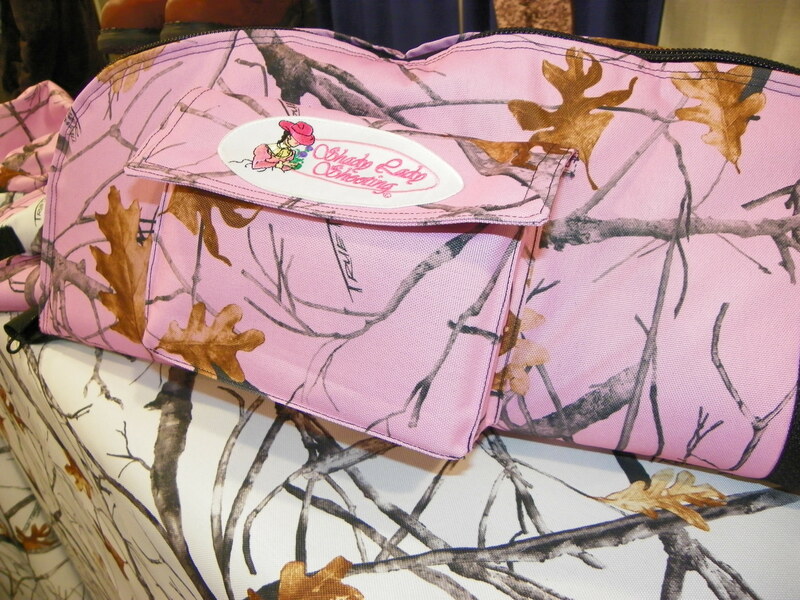 Dottie is a world-class tailor and decided to make her daughter a case in the pink camo pattern. From that one bag, her business evolved. 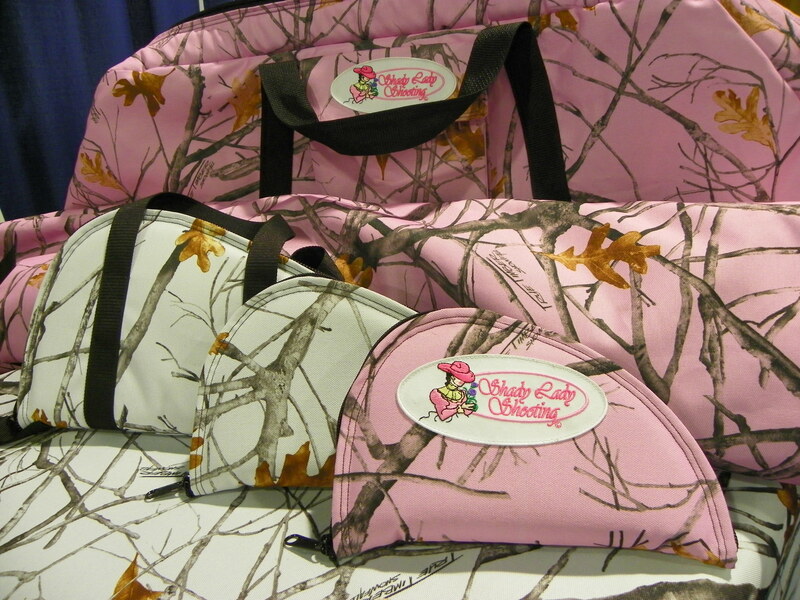 There is a market for gun bags for women especially in the pink camo pattern. Did we mention these gun cases are proudly made in the USA? These are NOT cheap imports. She is based out of Wyoming and has been making gun cases for some of the biggest names in the industry -SASS Cowboy Action Shooting, Rocky Mountain Elk Foundation, Mule Deer Association, Ducks Unlimited and Pheasants Unlimited. In addition to her gun bags, in 2012 she will be adding ladies and children’s gators and bow cases. If pink is not your color, she does offer the white snow camo pattern. Her items are quality made with excellent zippers and reinforced handles. She has the size of gun bag or gators that will be perfect for you or the woman in your life. She will be debuting her website later this year at www.shadyladyshooting.com. Until then to contact Dottie Nobles of Shady Lady Shooting, you can email her at ShadyLadyShootin@peoplepc.com. Valentines day is just around the corner, a pink camo gun bag might be the perfect gift for the woman hunter or shooter in your life! See you on the range! This entry was posted in For Women, Product Reviews, SHOT SHOW 2012 and tagged custom gun bag, gun bags, gun bags for women, gun cases for girls, mountain elk foundation, mule deer, mule deer association, pink camo, rocky mountain elk, rocky mountain elk foundation, sass cowboy action, shady lady shooting, women's gators. Bookmark the permalink.